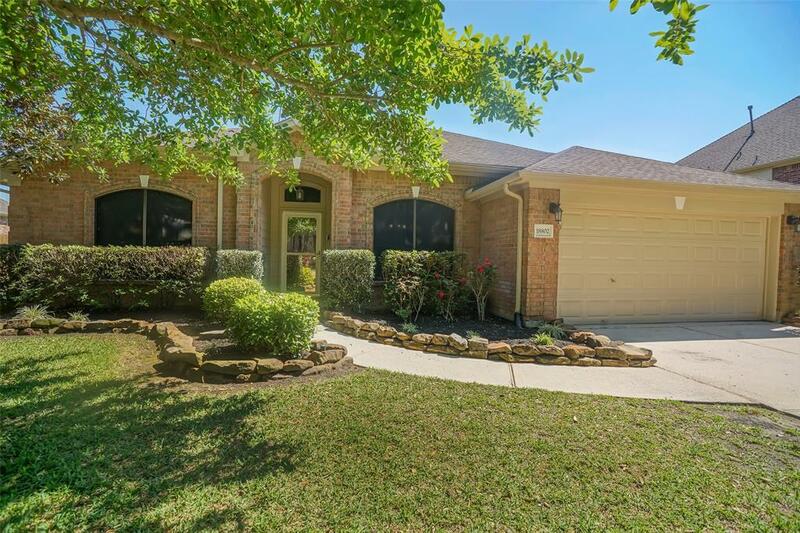 Charming single story home in the desirable Walden Community. 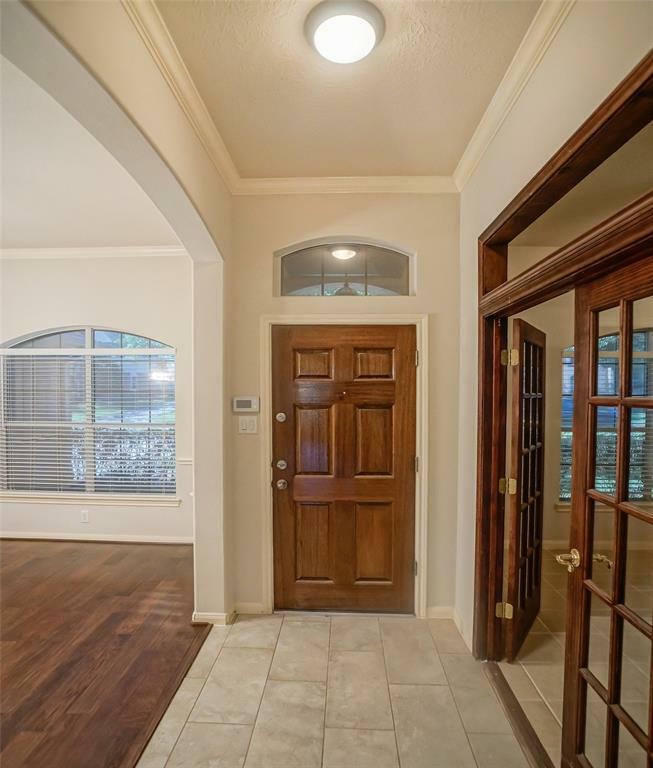 This immaculate 4/2/2 open floor concept boasts an abundance of upgrades that you will for sure fall in love with. A kitchen that is perfect for entertaining with plenty of counter space and cabinetry. The split bedroom plan offers a spacious master bedroom featuring double vanities, a soaking tub/separate shower, and a walk in closet. 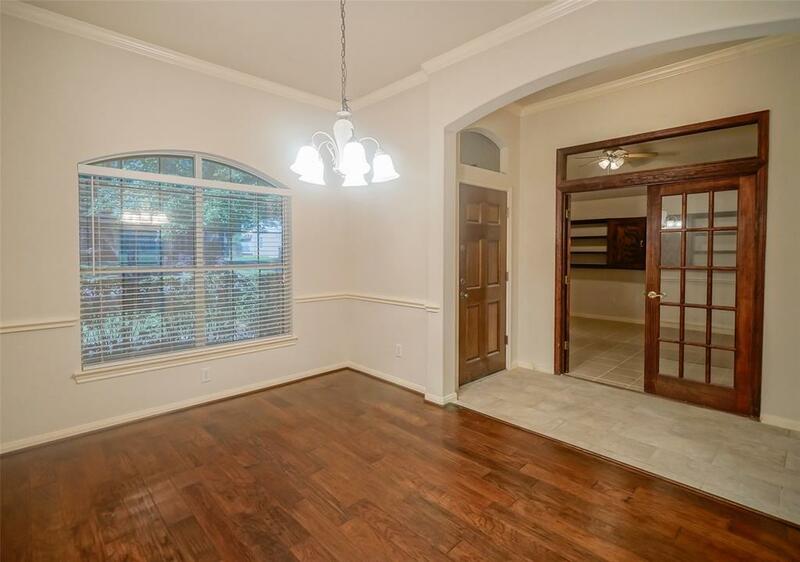 Versatile study/room with custom built-ins, new tile around kitchen and entryway, rich mahogany wood floors, lots of natural light, and fresh new paint. Enjoy your summer days back in your back patio that offers privacy with no back neighbors and breathtaking views. 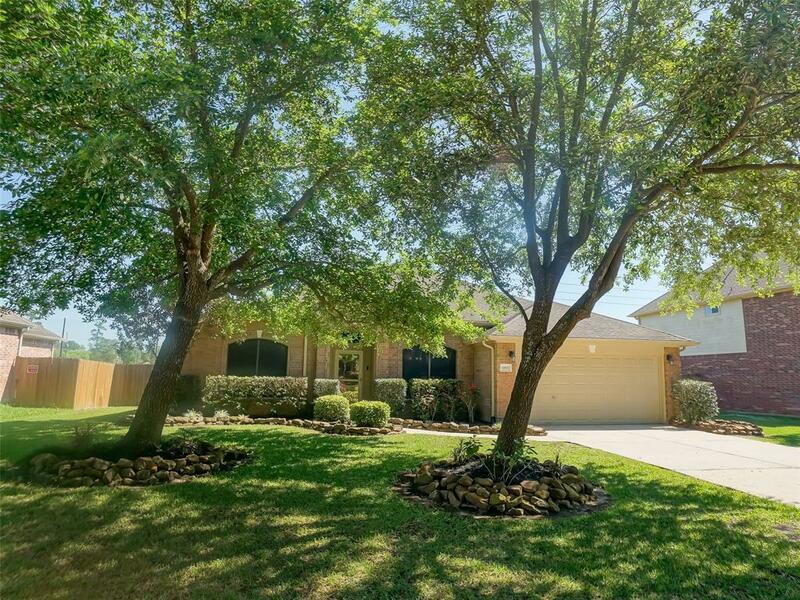 Walden offers golfing , country club, neighborhood pool, tennis courts, playground...Lake Houston living at its finest! Short distance away from award winning schools, dining, shopping, and IAH Airport ....welcome home!